Undertaking a kitchen redo but don’t know where to start? Read on as we take you through each step of this seemingly challenging home project. Planning a kitchen renovation (or any reno project for that matter) can be pretty overwhelming—there’s so much to do, so much to consider, where oh where does one start? Clare Steel, author of the book Step-by-Step Home Design & Decorating, says “The sheer number of components involved in redesigning a kitchen means that it requires particularly careful scheduling. The majority of your time will probably be spent preparing for the kitchen to be fitted, but if you do this job properly, the rest of the refit should run smoothly.” Use our notes below as your guide to get you started. 1. 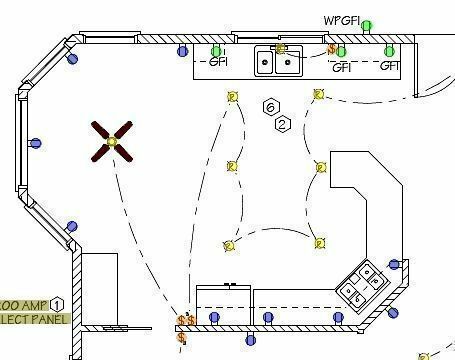 Work on your dream kitchen layout. When fixing your kitchen, remember that it’s not just about placing your appliances and furniture where you wish. You have to consider following a proper work triangle so as not to make working, cooking, or populating the kitchen so difficult. Take note as well what budget you’re willing to work with; it’s better to determine this as early as now, so that you’ll have a guide on how much to spend and what specific elements you’ll need to purchase. 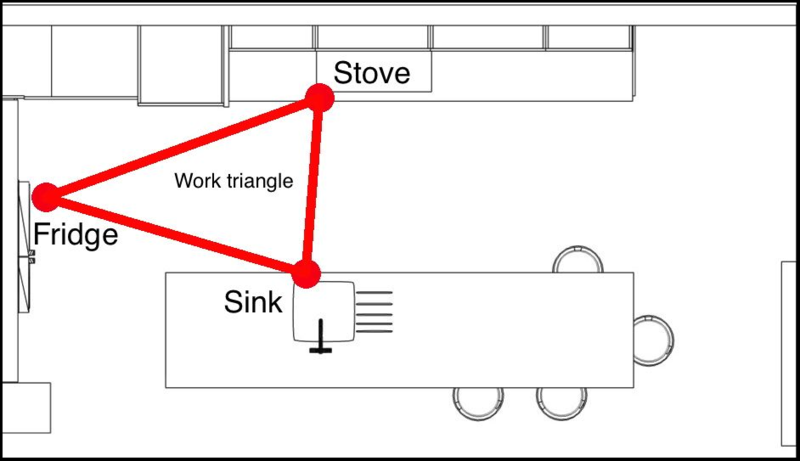 Click here to get ideas on how to understand the kitchen work triangle, and what layout works best for you. 2. Think of how to light your kitchen. Lighting is crucial in the kitchen, as it is a room that requires you to clearly see what you’re doing—especially when you’re slicing those vegetables. Get tips on lighting the kitchen here. 3. Consult a kitchen designer or contractor. Once you’ve determined the above, you have a choice on whether to work directly with a contractor, or have a kitchen designer work with you. Going with the latter may be a pricier option, but well worth the investment as he or she will be able to advise you on what would work with your preferences. When hiring a contractor, you should also check that your choice contractor is a registered renovation contractor. It’s also important to note that at this point, you should already have an idea on what appliances will go into your kitchen, in case you plan on replacing your old ones. This will help the kitchen designer determine the size of cabinet units to place in the room. If you choose to go with the reno on your own, be prepared to do most of the legwork. It may be more difficult, but still definitely fulfilling once you’ve seen the end result. Check this site for more guidelines you’ll need to know before beginning your reno project. 4. Order your cabinet units. When you’ve finalised the plans for your kitchen, have the cabinets manufactured either by your own fitter, or by the kitchen company’s fitter. The latter, again, can be more costly, but also does away with the hassle of figuring out how to install certain units. Note that manufacturing may take a few weeks (to as much as a few months! ), so consider this when planning your timeline. 5. Start demolishing old cabinetry. While your cabinet units are being made, take the time to start demolishing old cabinetry in your existing space. Before you start, however, make sure that you already have the proper demolishing and building permits you’ll need to take on the reno project. 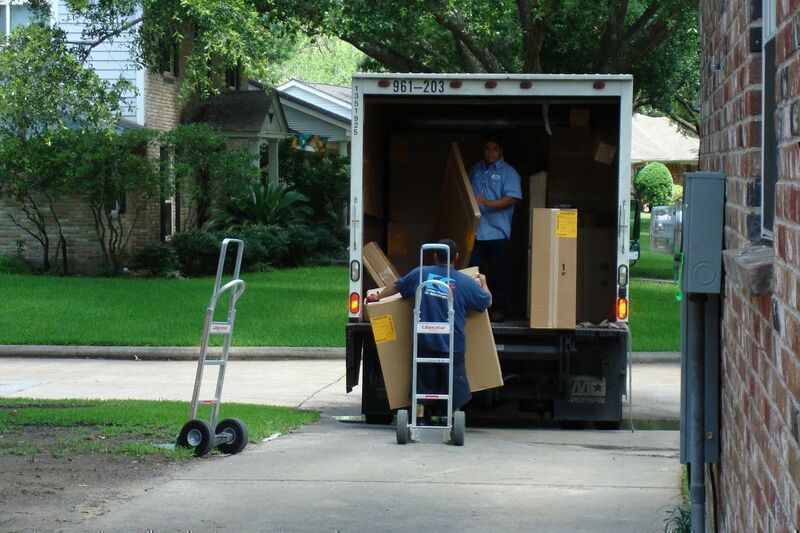 You’ll also need to follow specific safety guidelines and measures when tearing down built-in furniture or walls. Read this informative piece on what you’ll need to check off on your pre-renovation tasks list. Once your kitchen is bare, have a specialist begin on electrical wiring works and plumbing. Check if you’ve got enough electrical sockets (for kitchens, it’s recommended to have sockets behind appliances and on worktop level). Now’s the time to have your supplier or contractor lay the flooring material. Ceramic tiles are one of the most popular materials for kitchens, but you can also use natural stone, treated or engineered wood, marble, or moisture-resistant laminate, vinyl, or linoleum. If your floor is not level, it has to be levelled properly by an expert. Discuss your options with the supplier you’re hiring for this specific job. Once the wiring and plumbing are done, cover up walls with plaster, and your preferred wall covering. A few coats of paint is recommended, or you can also choose to cover up with tile. Consider also your ceiling and other woodwork in the kitchen, such as window trim or moulding. Around this time, check your schedule for when cabinet units will be delivered and installed. Follow up with your fitter on the delivery date, and when your kitchen arrives, free your schedule up to check if all units have indeed been manufactured to your specifications. If some parts have been damaged, ask your fitter to replace them immediately. 10. 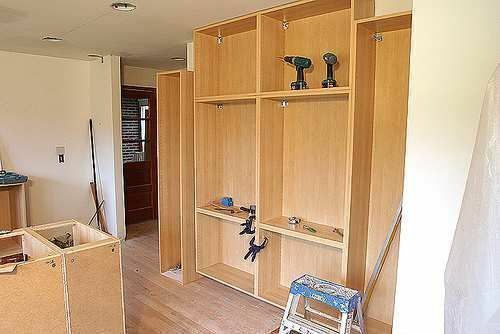 Install cabinet units and countertop. When you’re sure that all the cabinetry and appliances have been delivered, have the fitter install the units and worktop first. This may take a few days to over a week. After installing the cabinet units, you may have the fitter or contractor install the kitchen sink/s and taps. While appliances normally can be installed by homeowners, it is best to have a professional connect and check all appliances. Again, make sure that you are following safety guidelines and measures provided for by the government. 12. Install the backsplash, if using. Your kitchen is now looking almost done. If you plan on using backsplash for the wall behind your cooking hob or the sink, install it now. Measure them before fixing in place so that you can account for spaces like electrical sockets. 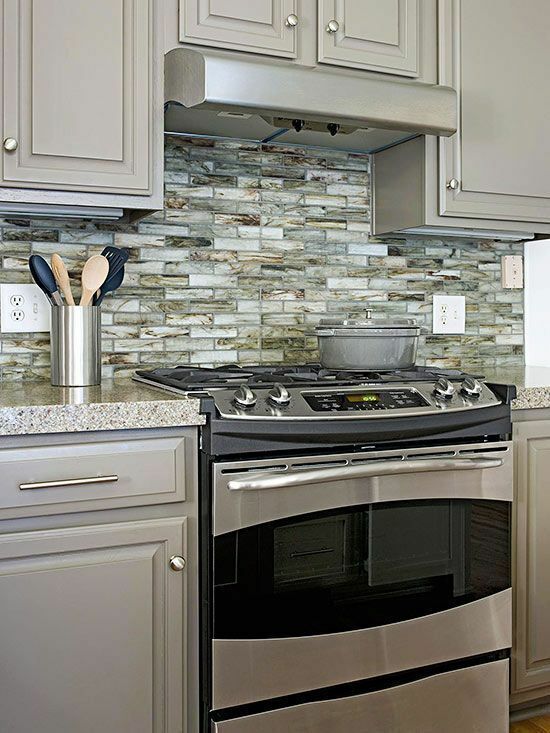 Get some great ideas for a beautiful kitchen backsplash here. 13. Finish wiring, plumbing works, and install light fixtures. If you haven’t installed light fixtures yet, do so now. Your ceiling may need touch ups after this task, but it’s nothing that a little paint won’t solve. 14. Take care of final details, like cabinet hardware and other decorative elements. You can finally take care of the finishing touches at this point: cornices, moulding, knobs, handles, hinges, etc. Once those are done, you can also begin decorating your kitchen, and placing your pots, pans, utensils, plateware, glassware, and other tools inside the drawers and cabinets. Got a kitchen tip or DIY kitchen project to share? Email us at hello@cromly.com!